We have a 36.5’ bumper pull camper weighing approximately 9k fully loaded that I used to tow with my F-350 6.0L. I purchased a 2015 F-350 CCSB 6.7L to replace my 6.0l at the end of the season last year & only towed my camper once with it but it was a great tow even in nasty weather home. The new truck has the 11.5k GVW package so it I have plenty of payload, suspension & power for my camper. We tow about 2500 miles a year on average with a Reese strait-line WDH with sway control. The truck has the factory Michelin 275/56R20’s with less than 3k miles on them but I’m considering replacing them with 295/65R20’s & installing a 2” leveling kit. Every time I look at the truck & see the rake it bothers me, I measured the difference at 3” front to rear on the drivers side & 2” on the passenger side. The truck rides pretty poorly empty so it’s not like I have much to lose by swapping out wheels, tires & adding a leveling kit. My thoughts are to replace the stock set up with Toyo’s, 20X9” aftermarket rims with the proper offset, Bilstein 5100’s on all four corners & a simple puck style 2” leveling kit up front leaving the factory rear leaf springs with the factory overload springs. The only concern that I can see is that I will probably have to add Timbren’s or air bags in the rear to level it out once the camper is hooked up. I measured my tongue weight last year & I was at 1150lbs as we normally load the camper for travel. It's not broke, so why "fix" it? I would think that safety and handling would not be improved. The height of your truck isn't going to be a big deal for towing. I've driven lifted trucks for years. My 7.3 was lifted 7 inches, on 37" tires, and I towed a 28' bumper pull trailer with no problems whatsoever. They key is having your hitch setup properly. I have an adjustable shank height hitch, with the stabilizer bars (weight distributing) and also the anti sway bar setup. 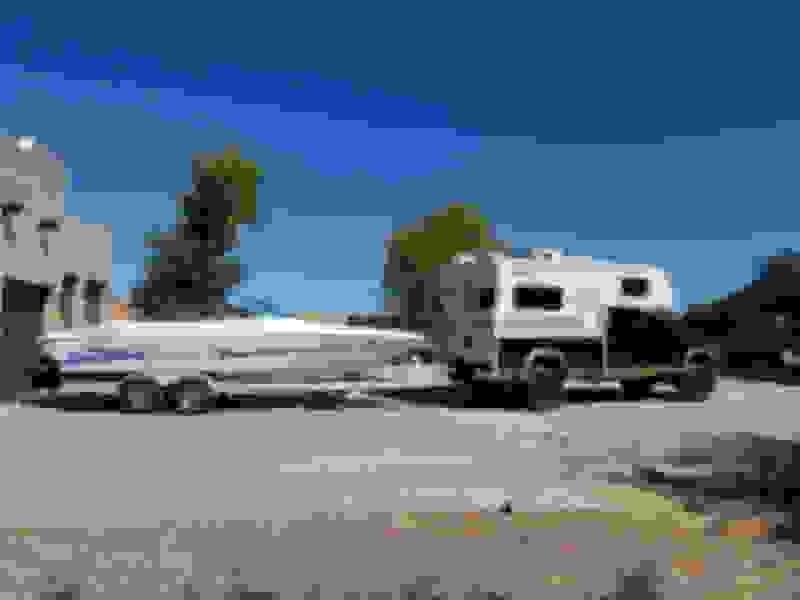 My trailer towed like a dream, and I never needed airbags. My truck I have now is a 2011 F350 with 6.7, lifted 6 inches, and I'm pulling a 5th wheel, no airbags. There are plenty of guys in the forum who bash on lifted trucks, but I can personally tell you......they can be used NO problem for towing, you just need the proper setup. 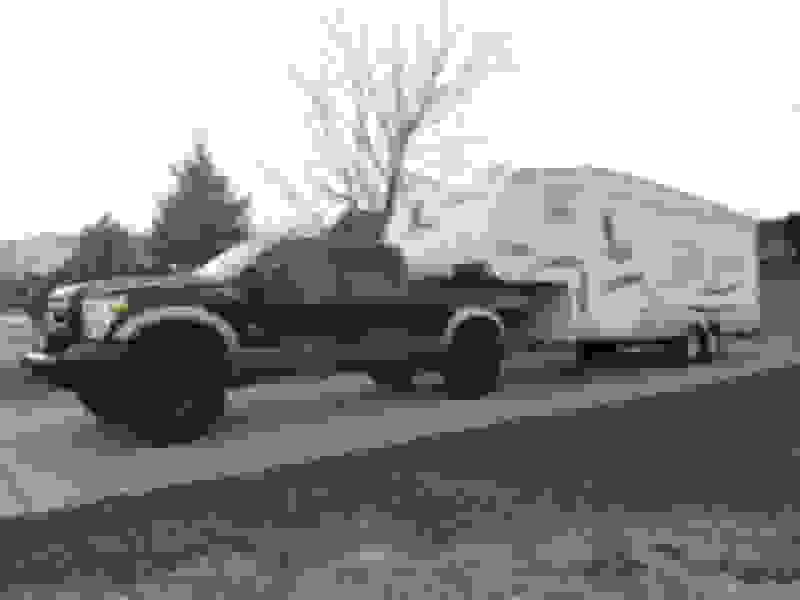 did you lift your 5th wheel to match the lift on your truck? I've been wanting to take my truck up 6 inches but I'm concerned about the angle that would put the 5th wheel we will eventually get. I don't wanna stress the rear axles on the 5er more than needed. I think I have plenty of power & safety for towing but wouldn’t mind a little better look while not towing, I just don’t want to create a problem. I appreciate all the comments so far! I did exactly what you are describing on my 2015 truck and now again on my 2017. Worked great for 90,000 miles on the 15 with probably 35,000 of those miles with a trailer hooked up. I have a 2012 F250 CCSB stock except Titan fuel tank, Airlift bags, and Rancho 9000 shocks. I have towed our travel trailer about 14000 miles with a tongue weight of about 950 lbs with an equalizing hitch and this combination works well. Before this the truck had a considerable squat, and the suspension would bottom out on moderately rough highways at speed limit or less. The opposing drivers at night are also much happier. Just throwing pucks in front end will result in poor caster. Ball joint cams cannot compensate enough, the math is simple. Timbren’s are a band aid. Firestone/airlift bag system limit rear axle travel significantly. Most guys live with these issues but if you want it at least as good as stock or better, do it right. I did 2"/295s and solved these issues with mods to radius arms and airlift D2600 bags. Do your homework and get a solid plan in place. You're asking the right questions so off to a good start. Your goal is achievable. Good luck. I'm now on 3"/37s rides/handles heavy loads great. I’ve read a bunch of threads including yours & am aware of the castor issue, funny how some notice it & some don’t. Regardless the numbers being what they are I understand that a loss of castor is inevitable so I’m thinking I should throw the SPC castor adjusting sleeves in regardless since I’m already there, I just wish I knew what the current alignment specs are before I install the shims. It seems like a ton of work to do these trucks “properly” but it also seems like a ton of work just for 2” as well. I keep wondering if it’s worth the effort just for 2” but I’m committed now, ordered Bilstein 5100’s & 2” pucks this morning. Yes it will be worth the effort when you get it how you want it. Typical caster is about 2*. Option B is 3.5" lift radius arm drop brackets on ebay. They are cheap and will give you a good caster result with 2" pucks. If you install the sleeves (you likely need the extractor tool) the alignment shop can't do anything so just drive it and see what you think.